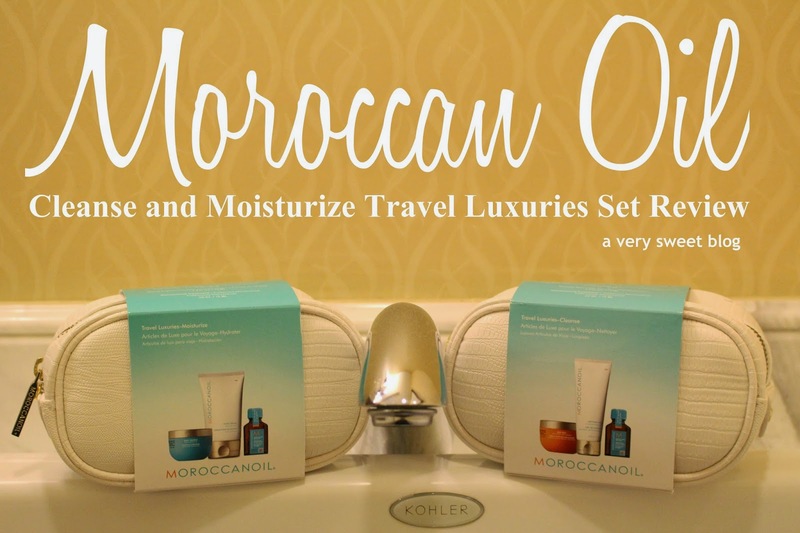 I purchased both the CLEANSE ($36) and MOISTURIZE ($44) Travel Luxuries Sets by MOROCCANOIL for my trip to Beau Rivage. Their products are NOT CHEAP, so this was an excellent way of trying out most of them. Both sets are available at Nordstrom, along with full sizes. You can see their entire collection HERE. Below is my review! Both sets come in a really nice thick faux leather cosmetic case. They're white with a Moroccan Oil name plate. I mistakenly mixed up the sets (hand cream & shower gel) in the pictures, so I'll talk about each product individually. 5. 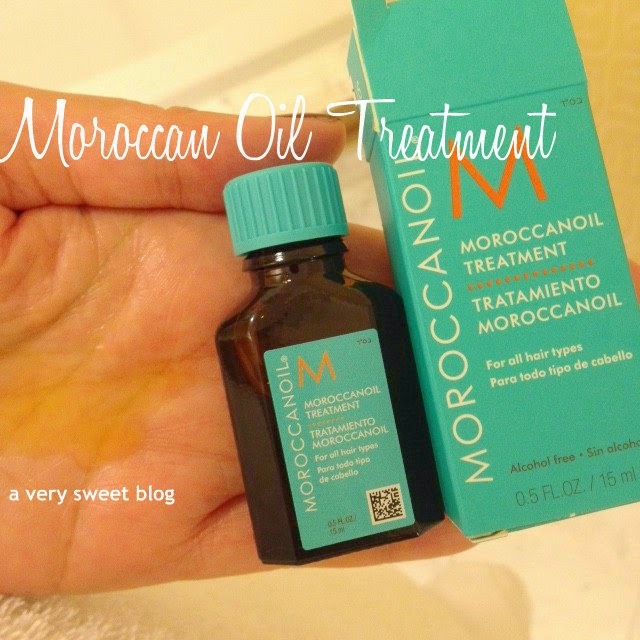 Moroccan Oil Treatment - SWEET - There's also a LIGHT version, but I like this! It's for your hair. I have VERY dry, coarse hair. This made it really soft. I could also easily comb through my hair. I've been wearing my hair back while growing it out, so I didn't try styling it while this product was in it. I think it would be too much for anyone with thin or delicate hair. Also maybe too much for oily hair. But the light version may work for you. This product comes in BOTH sets. (Full size costs $14.80 - $43 USD) I'm also interested in comparing THIS with Josie Maran Argan Oil. 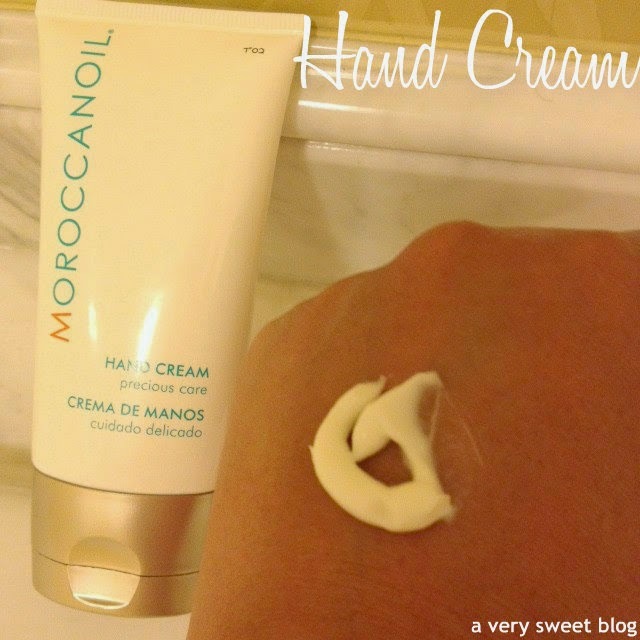 I LOVE THE OACKAGING OF THIS MOROCCAN OIL! I love moroccan oil!!! Great review honey, didn't even know that! I know, they are quite expensive, but really worth it!! Interesting Reviews! Especially the Body Buff! Loving this traveling set is one of my favorite oil and the brand is outstanding. Mnogo si hubava mnogo krasaviцa.Prekrasna roklja. I was so pleased to see that you were reviewing these products as I have been curious about them (and I trust your judgement!) 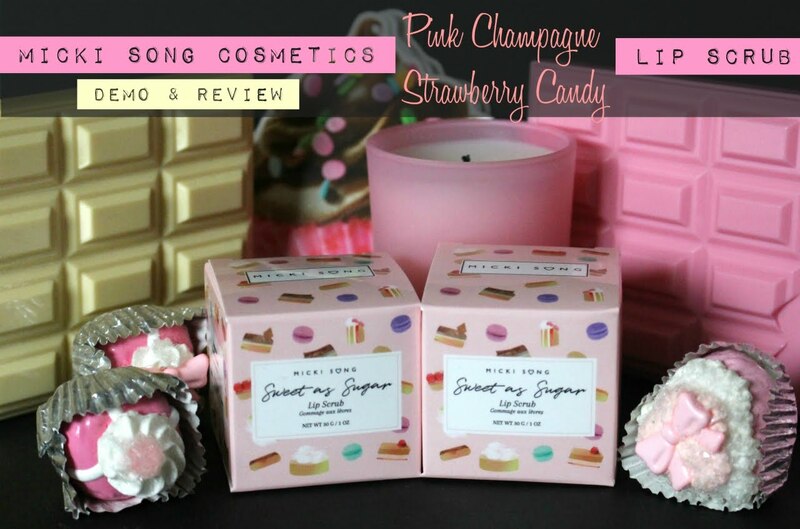 The orangey fragrance of the hand cream and body buff really appeals to me and the body souffle sounds so light. As my hair is quite fine, I don't think the oil treatment would be suitable. Once again, a detailed and helpful review, Kim! Thanks for the review! i've definitely seen their products and I'm very curious about the body buff now! That (orange blossom) hand cream sounds like something that I would love. I've only tried their hair care. The travelling set seems to be a cute one and a good way to try the body collection out. :) Thanks for sharing Kim! 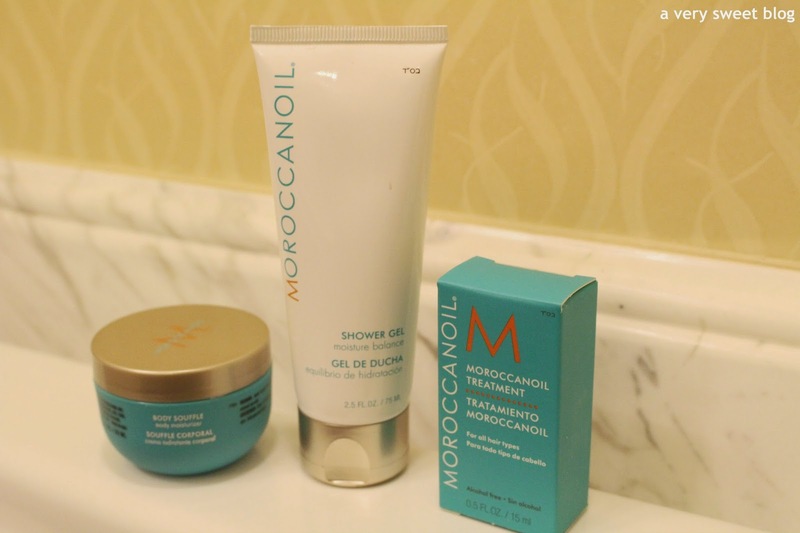 I would love to try the MoroccanOil products, heard so many positive things about it! I'm glad that you had a "sweet" experience with these! 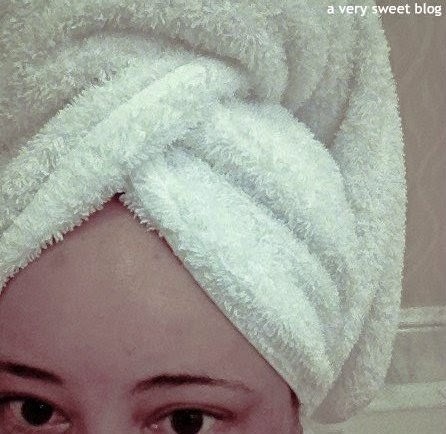 Great products :) Love this post..Keep In touch dear..
all these look great! I love orange and citrus cents Kim! Shower gels out of kits are usually my least favorite of the bunch too lol! I need to check if I can find this set here, it sure does sound amazing. 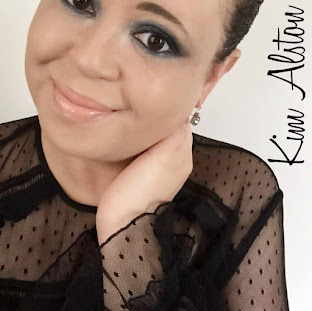 Great review, Kim and now you make me want to shop more. LOL! These sets both look and sound so luxurious Kim. 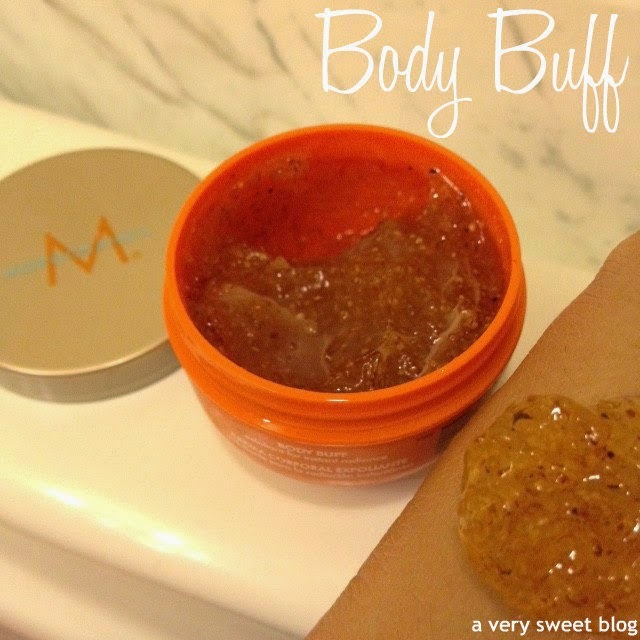 I didn't know that they had releases a body product line and I totally want to try the Body Buff and Body Souffle. If you love them, I bet they must be amazing! oooh! I love body souffles! And I want to try try the oil for hair, but I'm always worried that my hair will become super greasy. I have been wanting to try their products!! They seem to be very good!! I've heard a lot about this but have never tried it. Thanks for the review. Some of them sound wonderful, I'll have to keep an eye out for them. Thanks for this review! I've been eyeing this and have wanted to try this! I love moroccanoil products too. I'm curious about the body buff now that my kiehl's exfoliator has just about run out. The holidays is the best time to buy these little sets - I often stock up! I really need to look into these products! I love orange scented products! Oh Kim, I saw this at a hair salon in the mall the other day, but I didn't think about trying it. Now, that I read your review, I think I may need to check it out! Have a great week! I didn't know that they have body range as well. This looks lovely. I like that pretty make-up bag. 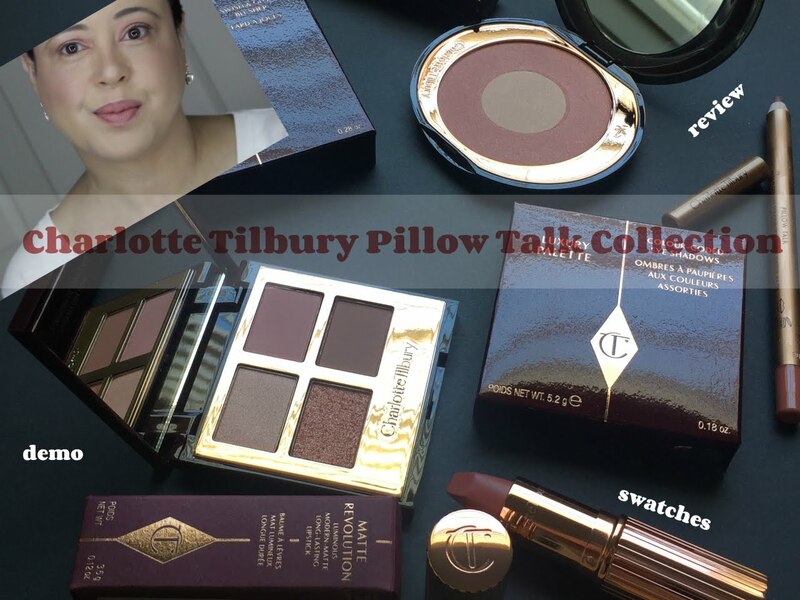 I think travel sets are the best way how to try new products. And these sounds great. Hi Kim, these products sound really good and what a great idea to try out with sample sizes. I hope you had a nice time away. oohh.. makes me want to try this!! 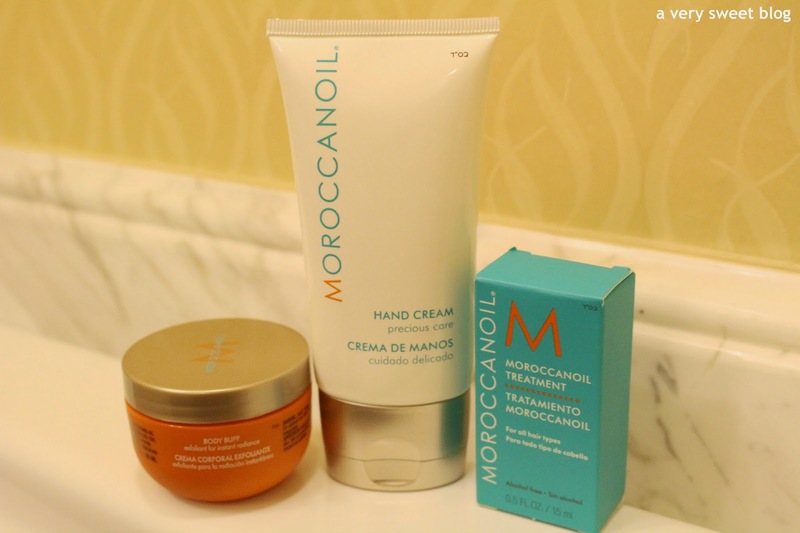 These products with Moroccan's oil look stunning, this oil is so versatile and works great! It's great that you left with good feelings about their products (except the shower gel). 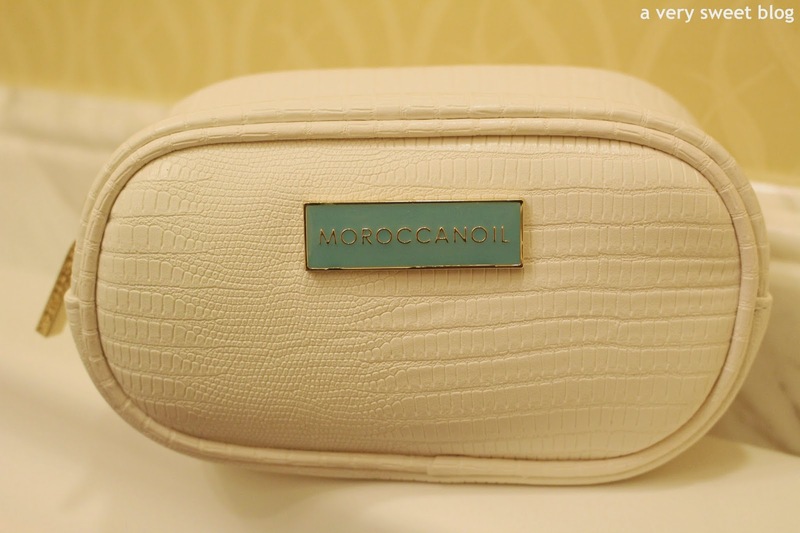 It's true that the set isn't cheap, but in my opinion, products that contain moroccan oil are quite expensive. i love moroccan oil so much. These look like great products and I love that they are able to travel! I love Moroccan Oil hair products but I've never tried the bath and body range - it sounds like they have some great products! Definitely going to give them a go, thanks for the great review. Looks like a couple of beautiful sets, with no major disappointments. Now you know what to invest in for the full size. oh my gosh they sound amazing, especially the body buff, hand cream and moroccan oil treatment. definitely luxury. and love the case too! I also have very course and dry hair, so the Moroccan oil treatment sounds like something I should try! i love this stuff, it smells so good. someone gave me a big bottle, then i found out from my stylist that it was too heavy for my fine hair!! I've heard good things about this brand, especially the hair oil. Makes a really nice Christmas gift. As I told you a previous comment, I used for some time Moroccanoil Haircare line, but I hadn't a clue they had a body care line too! That soufflé looks awesome! Oh wow, you got me wanting to try the body buff. they all sound lovely...expect for that shower gel that smells like hair treatment...that's kind of freaky. Love the set, I want to try Moroccan Oil treatment too. These would be great to have for a day of pampering. Moroccan Oil is an excellent Brand. Their hair treatment is very good and usually used in most hair salons. The body buff must smell so good if they smell like orange. I never knew they had other products other than the hair one. That's so cool!